The wildly hilarious and body positive Melissa McCarthy is stepping up for all of the “plus-sized” women out there with her latest venture into fashion design. 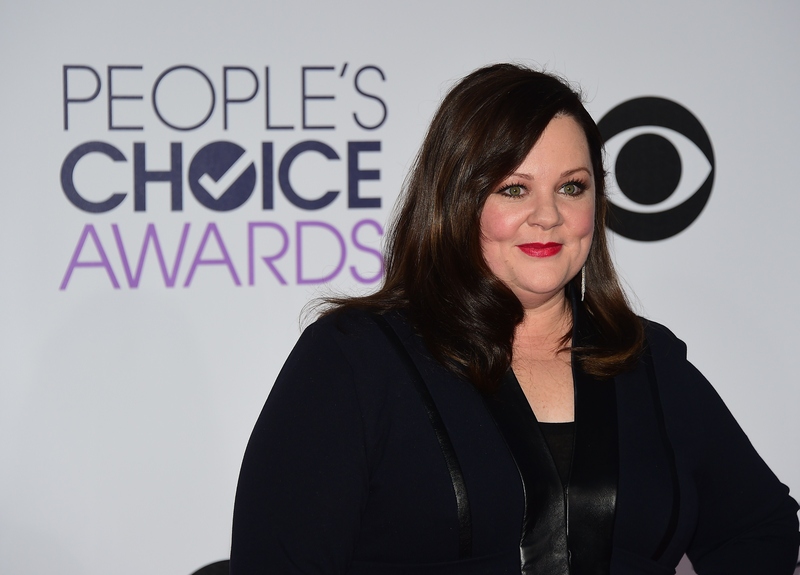 Melissa McCarthy’s clothing line will launch in August, and will range from sizes 4 to 28 because “people don’t stop at a size 12,” she told More magazine, continuing on to say that malls segregate plus size shoppers. Preach it, girl! As if she wasn’t already busy enough, the Spy star has made a real commitment to being involved with the design process of her line, Melissa McCarthy Seven7. “My problem is, I don't hand things off very well. I just figure if it has my name on it and I want to make people feel good about wearing it, I can't pass it off,” she tells More magazine. And when you’ve got fashion sense like McCarthy (she studied textile design in college), we should definitely be glad that she has a hard time passing things off, am I right? We’re bound to see McCarthy’s style sense seeping through in the designs, and I can’t wait. Her looks will be available to shop at Nordstrom, Bloomingdale’s, Macy’s and on her website. So, can it be August, already? To get you in the mood for McCarthy’s super body posi collection, here are seven other times she killed it with her body positivity. "People don't stop at size 12. I feel like there's a big thing missing where you can't dress to your mood above a certain number. [Malls] segregate plus-size," said McCarthy in an interview with More. "It's an odd thing that you can't go shopping with your friends because your store is upstairs hidden by the tire section. 'We'll put you gals over there because we don't want to see you and you probably don't want to be seen." "There is just this weird thing about how we perceive women in this country," she continued. "I would love to be a part of breaking that down." "Only wear solids? Don't wear bright colors? That's not real. Somebody made up these rules, and I disagree," McCarthy told More. "I have caught my reflection and thought, 'Oof. That girl is struggling. That girl is tired.' I've had mornings where I'm like, 'Oh God, I have weird hair. I look like Fraggle Rock. Why am I so puffy? What did I eat?'" But, "Who cares if my eyes are puffy because I ate 44 almonds last night? Or my legs are short?" "I’ve been every size in the world. Parts of my 20s, I was in great shape, but I didn’t appreciate it. If I was a 6 or an 8, I thought, 'Why aren’t I a 2 or a 4?' Now I feel like I have two great kids and the dreamiest husband on the planet, and everything else is just a work in progress." "I’ve never felt like I needed to change… I’ve always thought, 'If you want somebody different, pick somebody else,'” McCarthy told People. "Pretty much everyone I know, no matter what size, is trying some system," McCarthy said in an interview with Good Housekeeping. Even when someone gets to looking like she should be so proud of herself, instead she’s like, 'I could be another three pounds less; I could be a little taller and have bigger lips.' Where does it end?"